It is a voice that echoes off canyon walls, springs from the rush of rivers, thunders from the hooves of horses. It belongs to award-winner Mark Spragg, and it's as passionate and umcompromising as the wilderness in northwest Wyoming in which he was born: the largest block of unfenced wilderness in the lower forty-eight states. 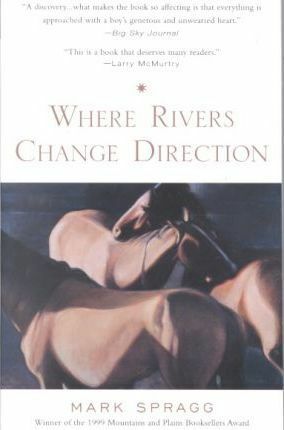 Where Rivers Change Direction is a memoir of childhood spent on the oldest dude ranch in Wyoming--with a family struggling against the elements and against themselves, and with the wry and wise cowboy who taught him life's most important lessons. As the young Spragg undergoes the inexorable rites of passage that forge the heart and soul of man, he channels Peter Matthiessen and the novels of Ernest Hemingway in his truly unforgettable illuminations of the heartfelt yearnings, the unexpected wisdom, and the irrevocable truths that follow in his wake. If the West had a voice this is how it would sound: writing as passionate and unequivocal as the land and the life that inspire it.